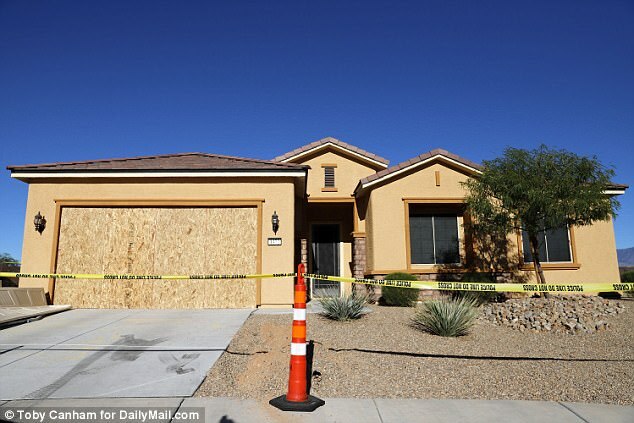 Mass killer Stephen Paddock bought a high-powered hunting rifle just hours before he arrived in Las Vegas on his mission of death, DailyMail.com can reveal. But bizarrely the rifle wasn’t one of the 23 weapon haul found by police in his sniper’s nest hotel suite. Paddock paid $600 for a Ruger American .308 bolt-action rifle with an 18-inch barrel and four round capacity from Guns & Guitars in his hometown of Mesquite. 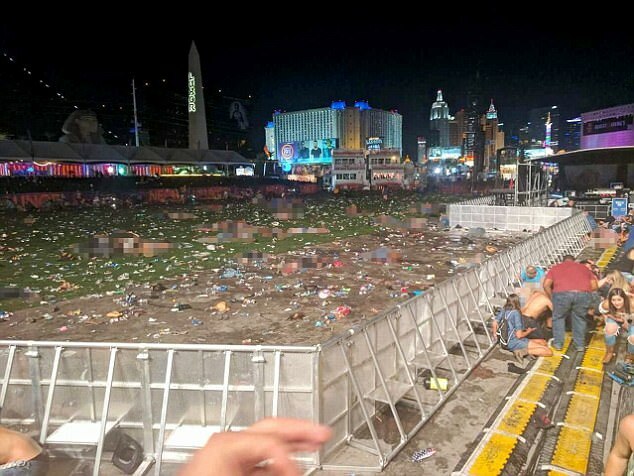 He then calmly drove 80 miles to check in at the Mandalay Bay hotel on the Vegas Strip from where he rained bullets down on the Route 91 Harvest music festival killing 59 people and injuring a further 537. A gunsmith at the store revealed Paddock was ‘calm and normal’ when he bought the weapon at around 3pm on September 28. The worker, who goes by the name Skipper Speece, said it took around 20 minutes for the store to carry out vetting procedures and Paddock passed with flying colors – raising no alarm bells. He then left the shop with the weapon but it’s unclear what happened next. 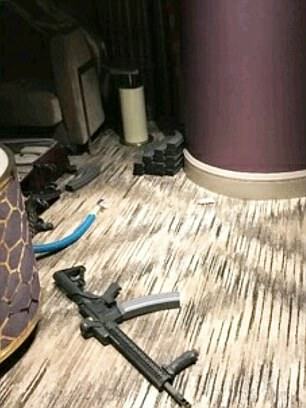 Did he decide against taking the rifle to Vegas and left it at home or did he take it and leave it in his car? 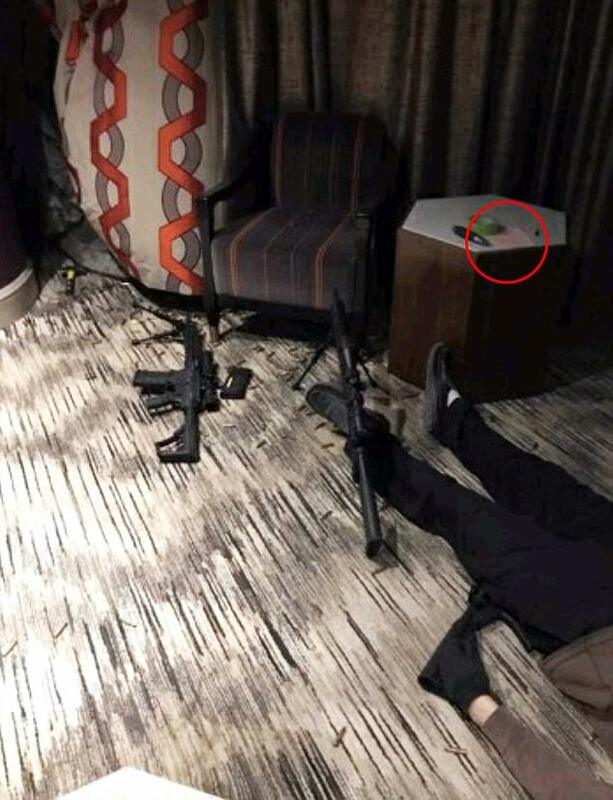 Either way the gun was not included as part of Paddock’s arsenal of death. Skipper said Paddock was a regular visitor to the store and he had served him four times in total. 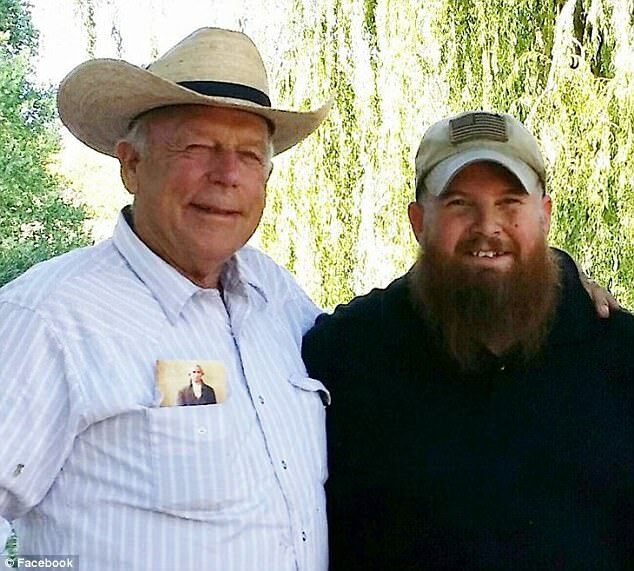 The gunsmith was bodyguard to Nevada cattle rancher Cliven Bundy, and was involved in the infamous 2014 Bunkerville ranch standoff. The standoff involved an armed confrontation between supporters of Bundy and law enforcement following a 21-year legal dispute over grazing rights. 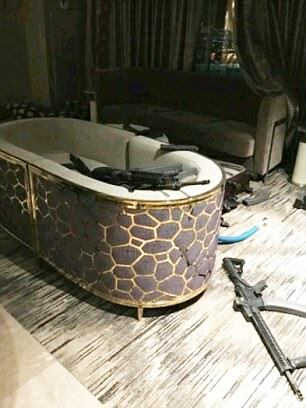 He says Paddock bought just one of the guns that was found in his hotel suite from Guns & Guitars – a Sig Sauer 716. The Swiss/German made rifle fires large-caliber 7.62mm rounds, and is a highly accurate weapon from the AR10 range of guns. These weapons usually sell for around $3,500. 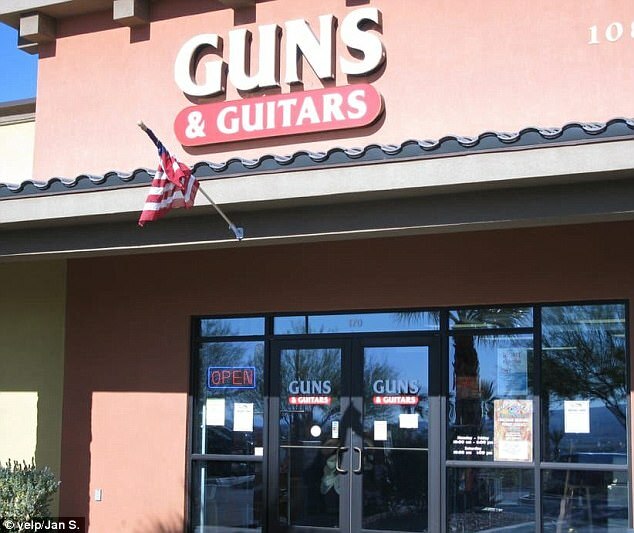 But a week before the attack he dropped into the store just two miles from his home in a retirement community and ‘admired’ the Ruger rifle he would later also buy. 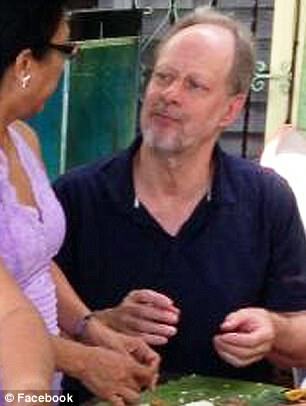 Skipper said: ‘He came in a week earlier and says, “Hey, do you remember me, I’m Steve Paddock,” and I said, “I’ve got some money for you,” because we sold one of his guns. ‘Then a week later, on the 28th, he came in again and bought it for $600. He never said what he was going to use it for. ‘He was a normal guy, a typical customer, there was never any red flags, nothing to raise concern. 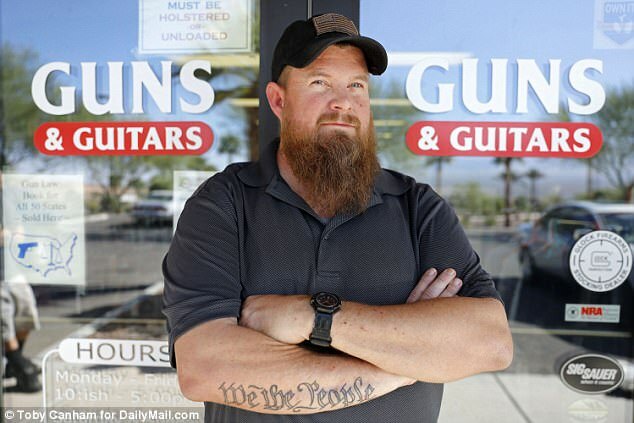 If he had acted unusually or suspiciously in the store I wouldn’t have sold him the rifle. ‘He didn’t say anything about why he wanted to buy the rifle. We actually had one of his rifles on consignment hanging on the wall. ‘He would buy something and bring it back. He brought a handgun to us before. We would buy back from him. Skipper, who said Paddock had bought three other guns from the shop in the past, none of which were used in the shooting, says Mesquite is awash with gun enthusiasts like Paddock. The worker said he was drinking in a bar on Sunday night when he watched the horror unfold on TV. At 2am he received a call from a friend in the FBI who wanted to run a name by him. When he heard Stephen Paddock, Skipper was shocked. ‘As soon as he said the name I knew who he was, because I had only served him a few days earlier,’ he recalled. ‘I know he liked country music so then I’m thinking he must have been after someone he knows, that was my first thought. ‘I couldn’t believe it and after I get the call from a friend at the FBI I rushed straight to the store to check our records. ‘The FBI wanted to know any addresses listed and the serial numbers of any weapons he had purchased. ‘Anyway I start opening up the ATF books and they give me four or five serial numbers and I find they aren’t from us, so he didn’t buy them all from us. 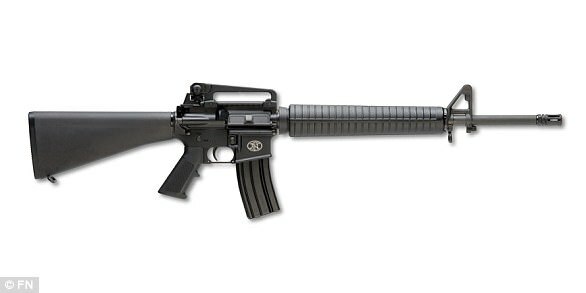 ‘So they say, “I’m gonna read you some serial numbers” and there’s one match and it was a Sig rifle. That was the only one that he bought from us that he used. 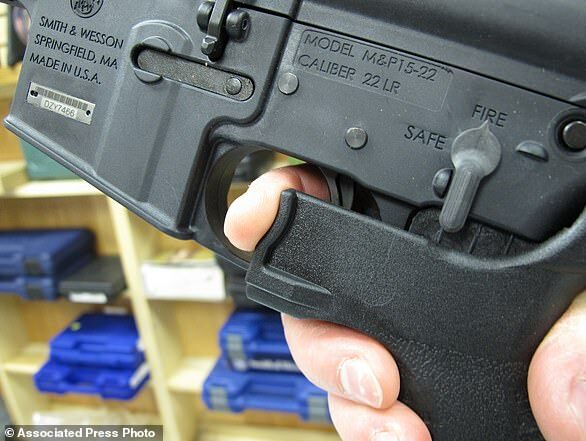 Skipper said it was only later they learned that the Ruger rifle – which had rail slots for a scope – Paddock had bought wasn’t in the hotel room, but one of the guns they had sold him months earlier was. ‘The guy was just a regular gun enthusiast, there was nothing special about him,’ Skipper said. 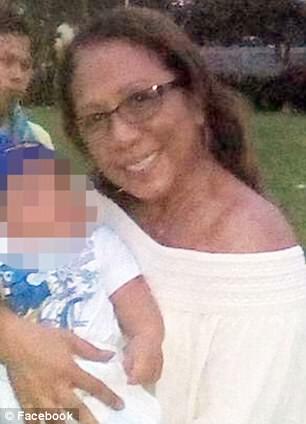 The worker said Paddock’s girlfriend, Marilou Danley, who police named a person of interest in the case, also came in to the shop once. Skipper said Paddock would have had no problem getting the 23 guns inside his minivan and smuggling them up to the 32nd floor room where he was staying. ‘He was a smart guy. He’s not going to be caught going into the hotel with the weapons,’ Skipper said. ‘The Vegas casinos have firearms safes so if you are traveling and have a handgun, they’ll tell you, “We’ll lock it in the safe,” because they don’t want guns in the lobby. Guns and Guitars staff have been inundated with death threats by phone and email, and Sullivan has reported them to the police. ‘We’re taking screen shots and forwarding emails to the FBI and to Las Vegas Metro,’ said Skipper. The store opened its doors on Wednesday for the first time since the tragedy and brought in extra security to man the entrance. As a temporary precaution, it also introduced a new policy banning loaded firearms from being brought inside.